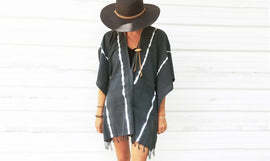 Beach wear cover up that is effortless and chic. Our New Breeze Kimono made of 100% cotton has a soft airy touch. Perfect for someone that wants to be covered on a hot day.